Metal music's tough-as-nails landscape isn't simply reserved for men. These gorgeous women of metal are sure to make your heart beat and your foot tap all at the same time. Maria Brink is a singer and songwriter. She is the frontwoman of the American metal band, In This Moment. In 2013, Brink was named Loudwire’s Rock Goddess of the Year. Jill Janus is the vocalist of American heavy metal band Huntress. The band’s style has been described as classic heavy metal with influences of thrash and doom metal mixed in. Many of the songs feature frequent screaming by Janus who is professionally trained in Opera. Dr. Mikannibal plays the saxophone and does vocals for the Japanese extreme metal band Sigh. Sigh is credited as being the first Japanese black metal band. Dr. Mikannibal is in a relationship with the bands frontman Mirai. 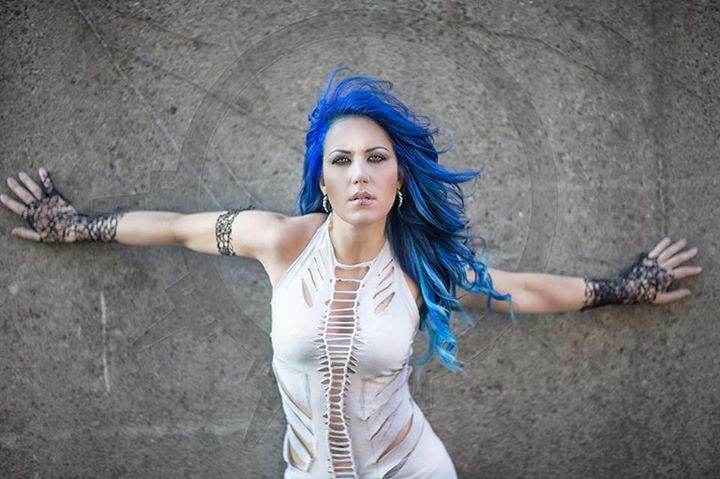 Alissa White-Gluz is best known for being the lead vocalist of Canadian metal band The Agonist. She is currently the lead vocalist for the death metal group Arch Enemy. When the former lead singer of Arch Enemy, Angela Gossow, left the band, she picked Alissa to be her replacement. Tarja Turunen is a Finnish singer-songwriter and is best known for being the lead singer of the Finnish metal band Nightwish. With Tuomas Holopainen and Emppu Vuorinen she formed the band and they quickly achieved commercial popularity with her “operatic” vocals and their fast guitar riffs. Their symphonic metal style was dubbed “opera metal” and it has since inspired many other metal groups. Elize Ryd is a Swedish singer, dancer, and composer. She is most famous for being the female vocalist for the melodic death/power metal band Amaranthe. She also gained some fame by performing guest vocals for power metal band Kamelot. Kobra Paige is a classical singer. She formed the band Kobra and the Lotus, a Canadian heavy metal band, in 2009. She is the lead singer and songwriter of the band. Kobra Paige was included in Metal Hammer’s 2010 Maidens of Metal Calendar with Simone Simons and Cristina Scabbia. Otep Shamaya is the lead vocalist for metal band, Otep. She is an American singer-songwriter, actress, poet, writer, and painter. Otep is featured in The Hobbit: Battle of the Five Armies as a voice over actor for Creatures. Marta Peterson is most known for being a member of the metalcore band Bleeding Through. Marta can be found in many hottest rock star wives lists around the Internet. She was also on the cover of Revolver’s 2010 “Hottest Chicks in Metal” calendar. Marta and Phil Demmel of Machine Head have been married since 2012. Angela Gossow is a German vocalist known for her lead vocals in Arch Enemy. She is considered one of the few successful female metal singers to use growling as her primary singing style. Vicky Psarakis became the vocalist of The Agonist after Alissa White-Gluz left the band for Arch Enemy. Not much was know about Vicky until she started singing for The Agonist. Before joining the group, you may have seen her on Youtube from vocal covers of bands like Audioslave, Therion, and Nightwish. Laura Pleasants is a singer and guitarist from North Carolina. 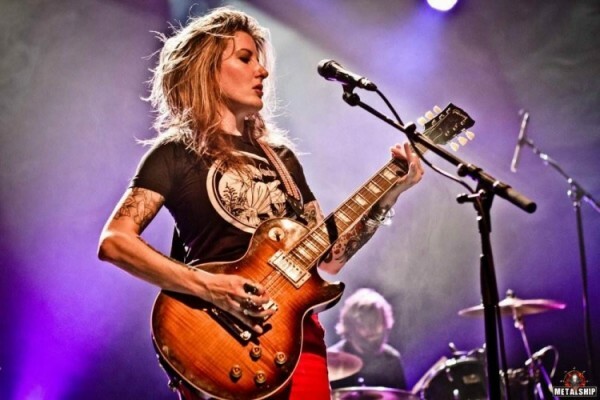 She is part of the American sludge metal band Kylesa. Her band name, Kylesa, is a Buddhist term denoting delusory mental states. Julie Christmas is an American musician who was the lead singer of rock group Made Out of Babies and post-metal group Battle of Mice. After going solo, Julie released an album called The Bad Wife. Doro Pesch is a German singer-songwriter and former frontwoman of the heavy metal band Warlock. Doro started out in garage bands in the Dusseldorf underground scene. She achieved commercial success with Warlock in the 1980’s and then years later went solo under the name Doro. 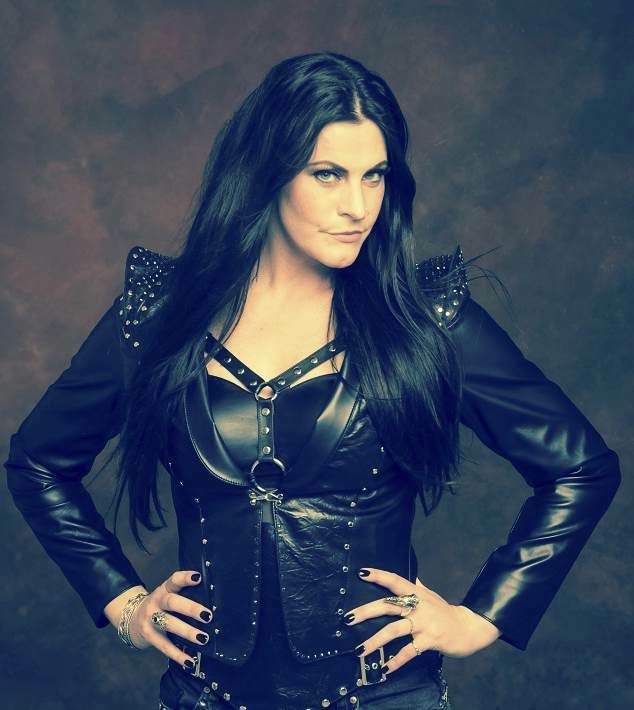 Floor Jansen is a Dutch singer-songwriter and vocal coach. She is currently the lead vocalist for symphonic metal band Nightwish and Dutch progressive metal band ReVamp. Her ability to sing both classical and rock music has made her pretty popular in the metal scene.